Preheat oven to 350˚ F. Cook lasagna noodles according to package directions; drain, rinse in cold water, and set aside. In a large bowl, combine shredded chicken, bouillon water, cream cheese, and 1 cup mozzarella. Spread of spaghetti sauce in the bottom of a 9×13-inch baking dish. 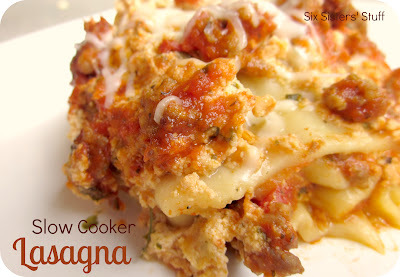 Cover with ½ of the chicken mixture and top with 3 lasagna noodles. Repeat layers. Top with remaining sauce and mozzarella. Sprinkle on Italian seasoning, to taste. Bake 45 minutes, until cheese is melted and bubbly. Makes 6 to 8 servings.